Main objective of this presentation is to analysis Public Relations Activities of ROBI. 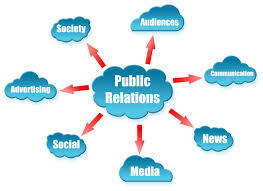 Public relations (PR) is the actual practice of maintain the spread connected with information between someone or an organization for example a business, government firm, or a nonprofit organization plus the public. This presentation give attention to to concentrate the actual external and outside communications and general public relation activities of the concern telecommunication business of ROBI. Other objectives are how much impact is been created with the PR and communication department, how this impact is helping the company in doing business.